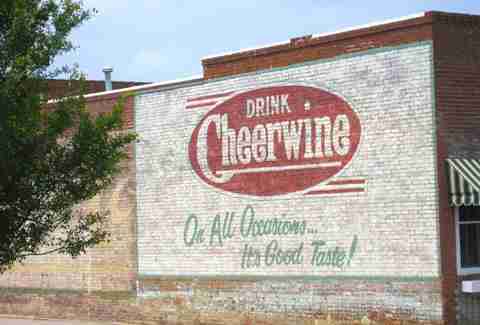 If you're from the Southeast, you know the sweet, black cherry bliss of Cheerwine. (If you're not, you probably thought we were talking about some sugar-infused bum wine -- you also just proved you're a Yankee, you Yank.) 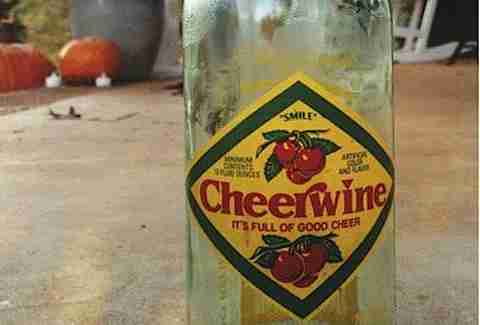 But did you know the soda is also known as the "Nectar from North Carolina"? When Kentucky's Maysville Syrup Company went bankrupt, L.D. Peeler bought the company and moved it to his hometown of Salisbury, NC. 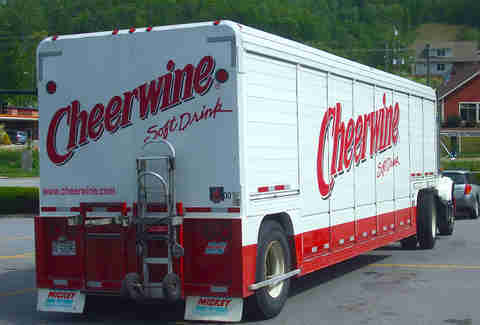 He renamed it the Carolina Beverage Corporation and continued making the popular Mint Cola. 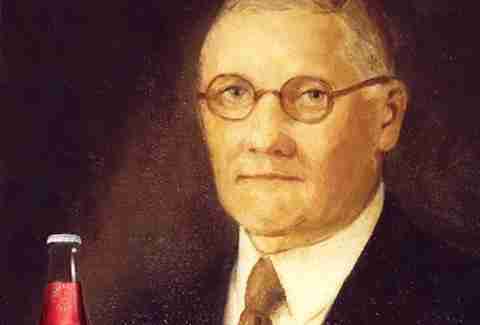 In 1917, a traveling salesman from St. Louis sold the amped-up cherry flavor to the company founder, who had wanted to add a cherry soda to the Carolina Beverage Co.'s soda line-up to take advantage of the flavor's popularity. 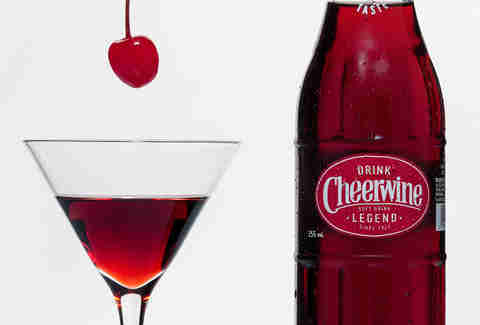 After a bit of tinkering, he landed on the Cheerwine recipe. 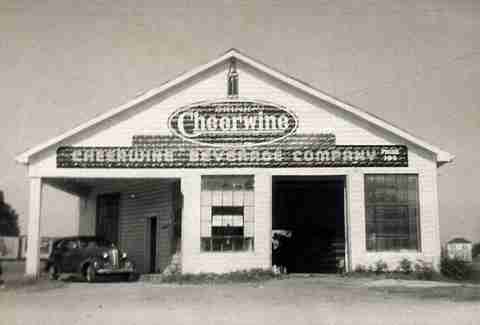 By 1924, Cheerwine outsold Mint Cola, and the soda group's name was changed from Mint Cola Bottling Co. to Cheerwine Bottling Co.
Carolina Beverage Corp. and Cheerwine Bottling Co. are still owned by L.D. Peeler's family. When the patriarch passed away in 1931, L.D. 's son Clifford took over the company, and, today, Cliff Ritchie, Clifford Sr.'s grandson and the founder's great-grandson, helms the soda company. The name actually comes from the drink's burgundy color and the cheerfulness drinkers experience after that first sip. Which does sound a bit like wine. 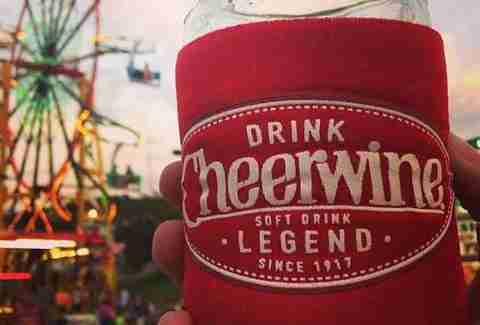 How intense is Cheerwine's carbonation? 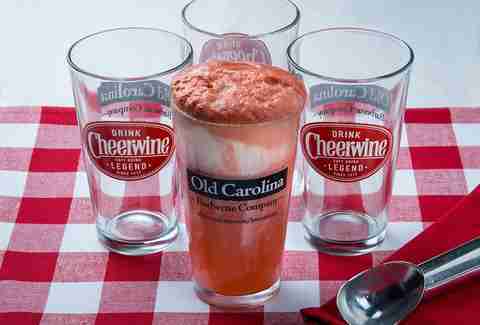 Ohio BBQ chain Old Carolina Barbecue Company tracked down old-fashioned soda fountains so they could serve Cheerwine, because the standard drink machines couldn't handle the carbonation. 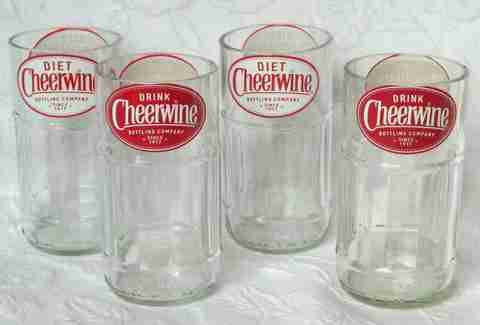 While the other soda barons hit caffeine-lovers' lips in the 1800s -- a few decades before Cheerwine, the NC soda beat them to the cherry circuit. Cherry Coke and Wild Cherry Pepsi weren't actually sold in stores until the 1980s, while Cherry Dr. Pepper only arrived in the 2000s. The first glass bottles and original labels used a three-cherry design -- pre-dating the now-classic symbol for good luck that you've never seen in-person at a casino. 8. 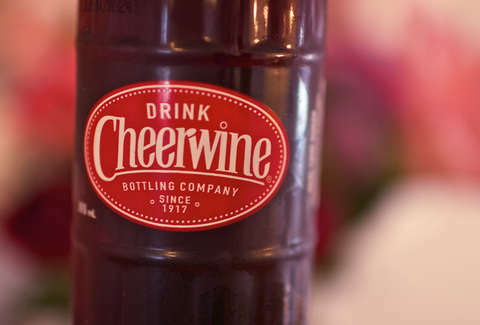 You can also call it "Nectar of North Carolina" and the "Legend"
The delightfully sweet, Tar Heel State-bred soda's first nickname was born early on and for obvious reasons, but a redesign of the label created the second moniker. 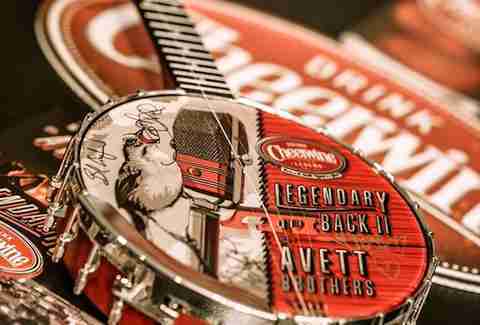 Originally, "Bottling Company" was printed beneath the Cheerwine name, but that's since been replaced with "Legend since 1917". In 1953, President Eisenhower was apparently so overcome with excitement at his first taste of the soda, he was reduced to the two-syllable exclamation, "Ike likes! ", proving that talking about yourself in the third-person always makes you sound like a moron, even if you're the President. 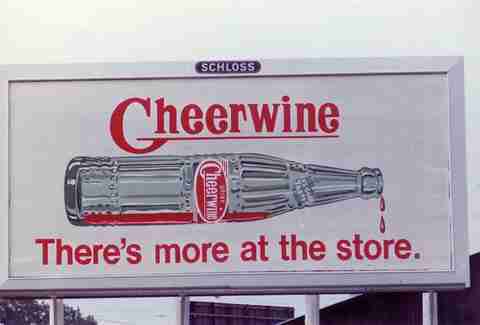 It was only in the '90s that Cheerwine became available outside North Carolina, and they only expanded as far as its sister state, South Carolina. Still independently owned, Carolina Bottling Company has partnered with Pepsi Bottling Company to make sure all the US knows about their "Born in the South. Raised in a Glass." taste. By 2017 -- the company's 100th anniversary -- people in all 50 states will be able to snap pics of the South's "Legend" with their own iconic skylines, like this one in LA. 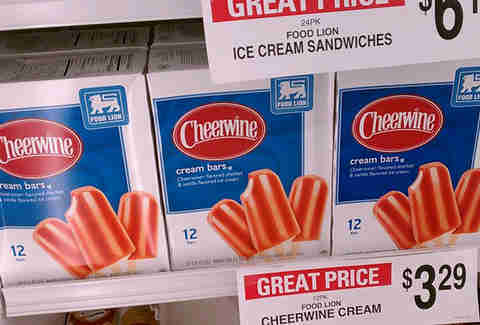 Food Lion, a Salisbury, NC-based grocery chain, carries Cheerwine ice creams, sherbets, and cream bars, while a local bakery also makes Cheerwine cakes. 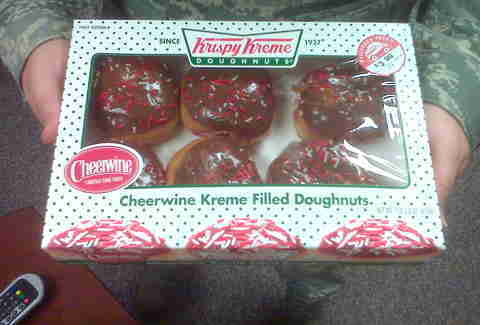 Krispy Kreme, another North Carolina native, has twice produced limited-run Cheerwine donuts, so you can have your cherry-sugar rush for most every meal. The two North Carolina icons have teamed up twice for the Legendary Giveback concerts, which donated proceeds to family-based charities, like Big Brothers, Big Sisters. The shows also let fans screen the concerts live if they pledged community service hours. No word yet if a third-annual concert is in the works for Summer 2014. Liz Childers is a food/drink editorial assistant at Thrillist. 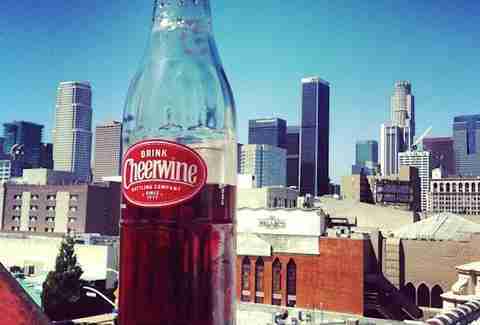 Her family brought home a year's supply of Cheerwine from every Summer trip to North Carolina. Follow her to all the Southern snacks you wish you grew up with at @lizchilders1.